If you love to grow flowers but hate digging new garden beds, take up no dig gardening. With a no-dig garden there is no need to remove the grass or even loosen the soil. You simply cover an area with a thick layer of shredded leaves and plant. Mother Nature does the rest! Begin by laying a hose on the ground to mark off the area. Next spread a light dusting of good quality compost over the grass. As little as ¼ inch will do. This thin layer of biologically active organic material inoculates the soil with beneficial organisms that speed the breakdown of the turf. Next cover the area with a layer of newspapers, 6 sheets thick, to act as a weed and light barrier. Large sheets of cardboard will also do the trick. Plants beneath will die from lack of light, so there is no need to use an herbicide to kill grass or weeds. Colored newsprint is fine, but don’t use shiny advertising inserts. This is a great way to recycle newspapers and you can use this technique in all you gardens and landscaping beds as weed control before laying down mulch. Wetting the newsprint or cardboard first makes it easier to handle and keeps it from blowing away. And, be sure to overlap the edges by several inches to prevent grass and weeds from sneaking through any cracks. The next step is to cover the paper material with 6 to 8-inches of shredded leaves. With the help of earthworms and beneficial organisms, over time the leaves will decompose into rich compost. To speed the process along scatter an organic fertilizer, such as Milorganite, over the top of the leaf litter. Coffee grounds are also a great addition and a source of nitrogen. To plant in spring, after the threat of frost, move the organic material aside and slit holes in the newsprint or cardboard. When working in root-filled soil it’s best to buy small plants in 4 and ½ inch or quart-sized pots. They’re easier to plant and quick to become established. While you can build a no-dig garden any time of the year, fall is perfect timing because there is a wealth of organic material available in the form of autumn leaves, and they are free and especially easy to get and shred if you have an electric WORX TRIVAC, the only one piece electric blower, vacuum and mulcher that converts in seconds with the simple flick of the switch. The new light weight model WG509 WORX TRIVAC (just 8.6 pounds, which is less than a gallon of milk) sports variable speed adjustability and a 2-stage metal impeller that produces a fine 18 to one mulch ratio making yard cleanup and no dig-garden building fast and easy. The finely shredded leaf mulch produced by the WG509 WORX TRIVAC is also perfect for mulching all your garden beds and building a fast turn around compost pile. You’ll want to store extra shredded leaf mulch in plastic bags this fall to top off your new no-dig garden and other beds in spring. 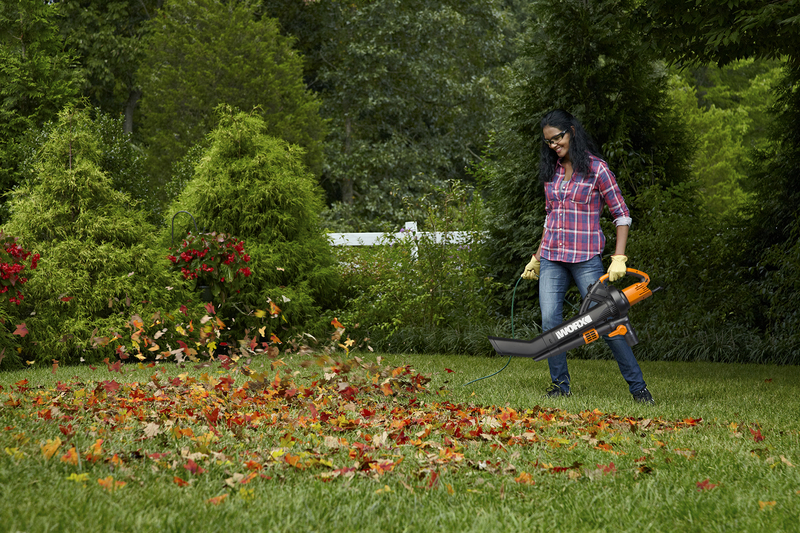 Remember, if you’re short on leaves your neighbors will be happy to let you vacuum up theirs and the good news is you will enjoy doing it with the WORX TRIVAC. For more information about the TRIVAC go here. Learn more about innovative tools from WORX, please visit www.worx.com.